Why choose Pea Wees In A Pod? Pea Wees In A Pod has been a registering Day care provider in Orange County, New York since 2004. 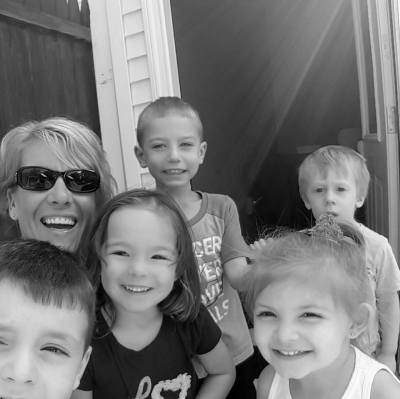 Director, Kerri-Ann Perone have been in the child care industry for over 28 years. Originally from Rhode Island, Kerri-Ann moved from California at the plunge age of six. She started as an in home “Nanny” at the age of 16 and found that she absolutely love working with children. When she started Pea Wees In A Pod, she wanted it to be different. Safety was one of her concerns. Knowing how new parents are so uneasy about leaving their child for the first time in daycare. “Keeping it small” was also something I wanted to do, Daycare centers can have over 200 kids, it’s more like a factory than child care, children just don’t get the attention they need. Our maximum is ten children with at least two assistants. Pea Wees In A Pod has over 1400 feet of In Home Daycare with a security entrance. It is located on two acres of beautiful wilderness, customers say “when turning down the private road it’s like a whole other world”, yet it’s right off of route 32 making it very convenient.